Multiple Grammy winner and hitmaker of several chartbusters, Lady Gaga is only the second person to be nominated in both Best Original Song and Best Actress categories. She lost the Best Actress trophy to Olivia Colman (The Favourite). Pop diva Lady Gaga took home her maiden Oscar as she clinched her first Best Original Song Academy Award for “Shallow” from her feature debut A Star is Born. Gaga shared the victory for the track, which did not come as a surprise, with co-writers Mark Ronson, Andrew Wyatt and Anthony Rossomando. In the initial moments of her acceptance speech, an emotional Gaga spoke with a staccato with tears streaming down her face and thanked the Academy, Ronson and Wyatt, her sister and her family. She singled out film’s director and co-star Bradley Cooper for believing in her and their song. “There is not a single person on the planet that could have sang this song with me but you. Thank you for believing in us,” the singer-actor said. 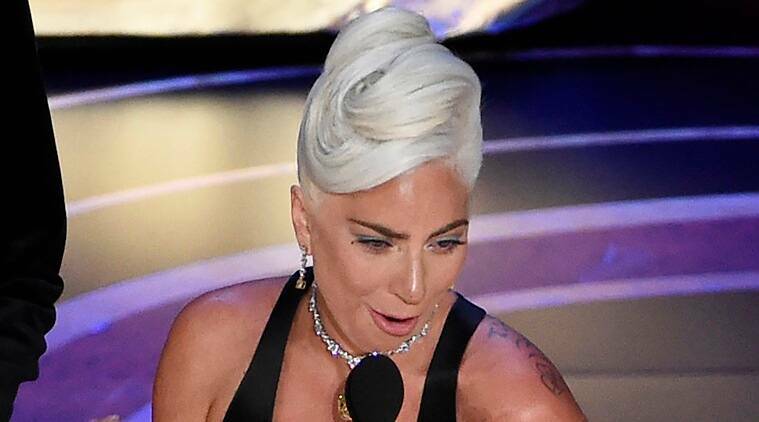 Gaga went on to say that her golden moment at the Oscars was the result of years of “discipline for passion”. “If you’re watching this right now, all I have to say that this is hard work done for a long time. It’s not about winning but what it’s about is not giving up on your dream. It’s the discipline for passion, it’s not about how many times you get rejected or fall down when you’re beaten up. But it’s about how many times you stand up and keep on going,” she said. Ronson gave a hat tip to fellow collaborator Gaga for her being the one-woman army that she is. “I think when you’re in the room with this person, you don’t have to do too much. She acts, writes and sings. Lady Gaga, thank you,” he said. Multiple Grammy winner and hitmaker of several chartbusters, Gaga is only the second person to be nominated in both Best Original Song and Best Actress categories. She lost the Best Actress trophy to Olivia Colman (The Favourite).